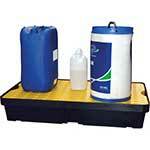 50 litre absorbent capacity - ideal for trucks and tankers. 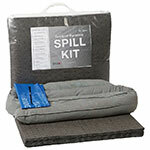 The Handy Truck and Tanker Kits are emergency spill kits, designed to easily manage a variety of chemical and fuel spills, including cleaning products, fuel, oil, acids, caustics and solvents. 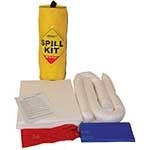 These emergency spill kits are compact, convenient to store and to use, making them a must have for any manufacturer, factory or truck driver. Made of quality, strong material, the pads, socks, cushions and rolls have an excellent absorption capacity and are extremely dependable. 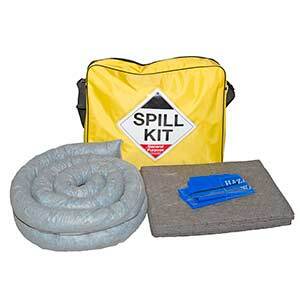 Chemical absorbents are ideal for absorbing any hazardous chemical spill and should always be kept nearby in case an accident occurs. 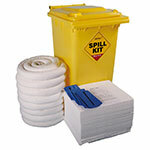 The Handy Truck and Tanker Kit is an ideal product for supply drivers to take with them on the road, as absorbent products are a necessity when transporting chemicals. OSK50 - Superb value for money, great service.